“For more than 50 years, Moore’s Law has reigned supreme. The observation that the number of transistors on a computer chip doubles roughly every two years has set the pace for our modern digital revolution—making smartphones, personal computers and current supercomputers possible. But Moore’s Law is slowing. And even if it wasn’t, some of the big problems that scientists need to tackle might be beyond the reach of conventional computers. Now, two research teams led by Berkeley Lab staff will receive funding from the Department of Energy (DOE) to build on this momentum. One team will receive $1.5 million over three years to develop novel algorithms, compiling techniques and scheduling tools that will enable near-term quantum computing platforms to be used for scientific discovery in the chemical sciences. The other team will work closely with these researchers to design prototype four- and eight-qubit processors to compute these new algorithms. This project will last five years and the researchers will receive $1.5 million for their first year of work. 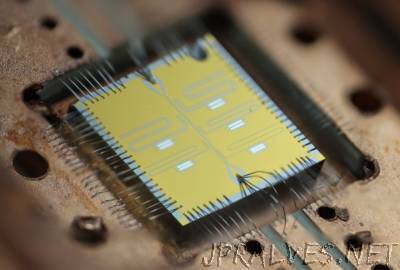 By year five, the hardware team hopes to demonstrate a 64-qubit processor with full control.